Emerald class have been super busy since returning to school. They have spent time getting to know their class teacher and their peers by playing games both inside and outside the classroom. 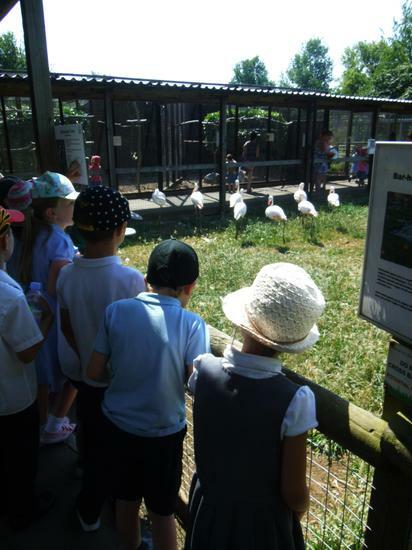 The children have explored the school grounds including a visit to the pond and the chickens. In the classroom, the children have been learning about their new ICE zone topics, 'exciting explorers'. Emerald class have learnt some new facts about Neil Armstrong, Christopher Columbus and Mary Anning. 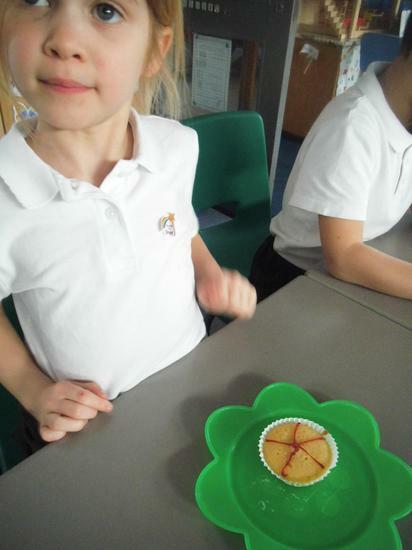 The children have also celebrated the Queen being the longest reigning monarch with cakes, which they made and their own special crowns. Getting towards the end of term and school is buzzing. Lots of extra activities to fit in. Year 1 got to watch the KS 2 Performance of 'Alice'. Wonderful production, great music and fantastic dancing - we all enjoyed that! Week commencing 29th June A very hot week - sun hats and plenty of water. In Maths we are looking at 2D and 3D shapes in more depth and being 'Shape investigators'. 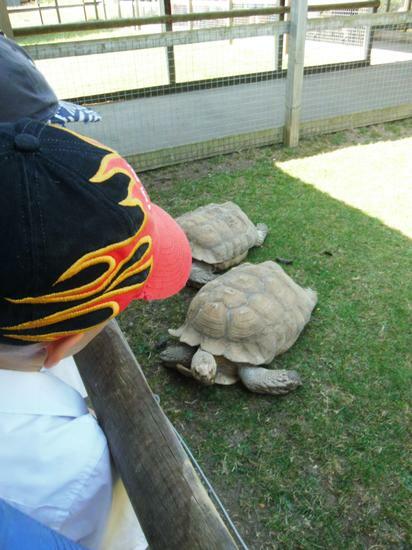 Wednesday we went to the zoo , saw lots of African animals and used lots of our ICE zone learning. 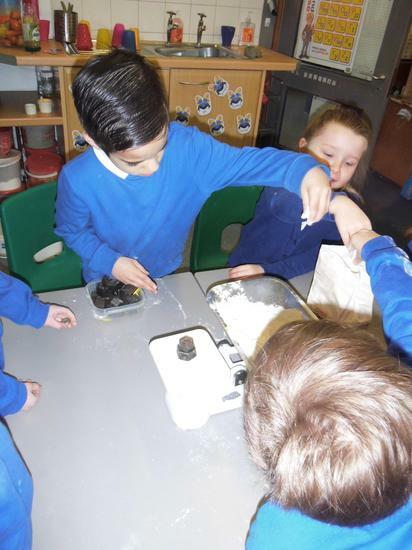 Week commencing 22.6.15 In Science this week we investigated which materials sound goes through best... lots of fun, lots of questions and lots of learning. Fantastic Big Writes this week - I am so proud of how much you all have improved. Well done. 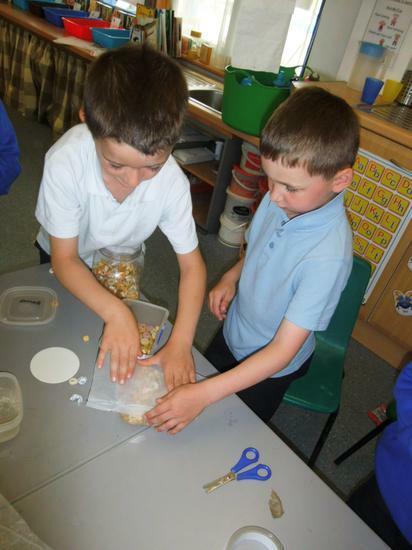 Week commencing 15.6.15: In Science the children investigated which material was best to make their drum/ shaker out of. We discussed pitch, and whether it was a high or low sound. 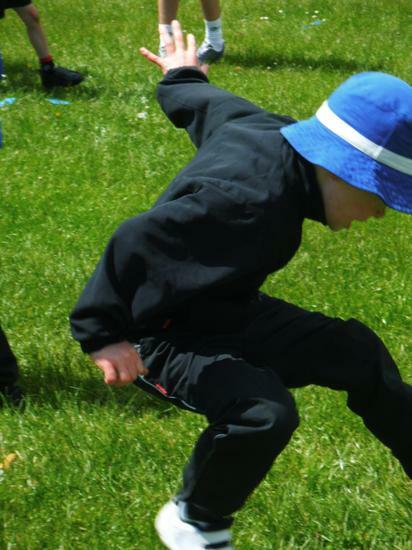 Lots of wonderful sun this week so the children were eager to be busy learning in the outside ICE zone. We started our new Science topic - Sound. The children went exploring and listening to sounds and discussed the source of them. We finished off Problem solving involving halving and doubling and will be recapping Time next week. 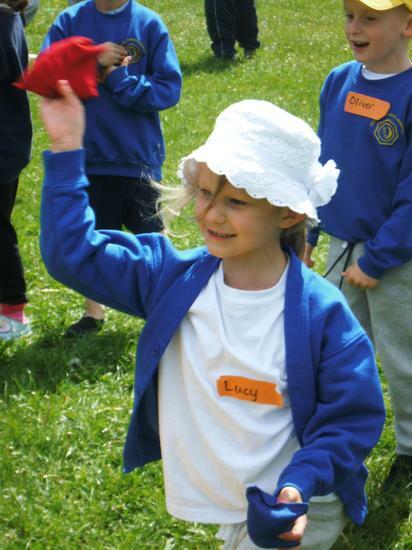 The children arrived back on Tuesday full of smiles and eagerness to share what they had done over the Half Term. As normal Emerald class settled quickly to the Phonic activities put out for them and the daily routines. In Science, this half term , our topic will be Sound.....this will involve a variety of noises and of course our ears for listening with! The children have started new books in Read Write Inc and are enjoying the more challenging Green and Red words along with the accompanying activities. In Numeracy the children have been continuing with solving problems but using Number lines before writing a number sentence. 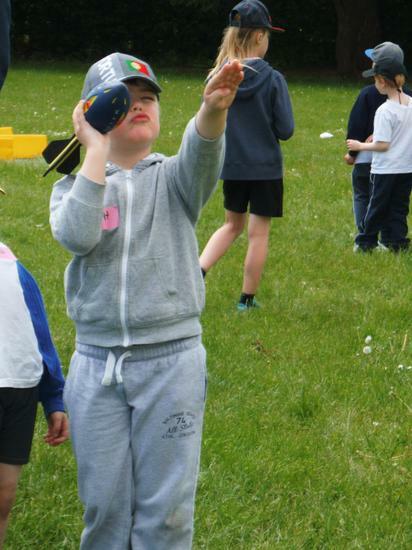 On Wednesday afternoon, the rain held off and the sun shone while Middlefield and Roundhouse joined us for a Fun Multi skills afternoon. The year 6 children were the leaders and led each group to their activities. 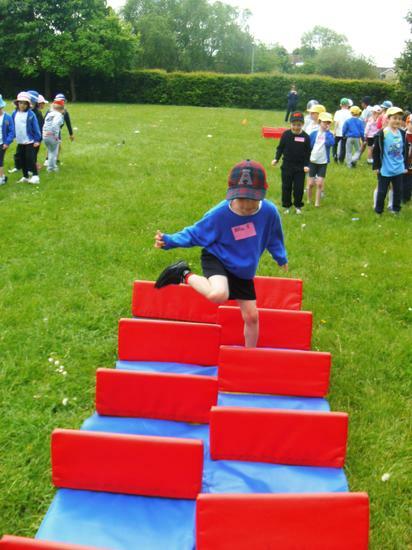 Over the afternoon the children participated in running races, throwing the foam darts, hurdles, obstacles and timed activities. Yes , lots of very big smiles and lots of happy laughter. We all had a wonderful afternoon and learnt many new skills. 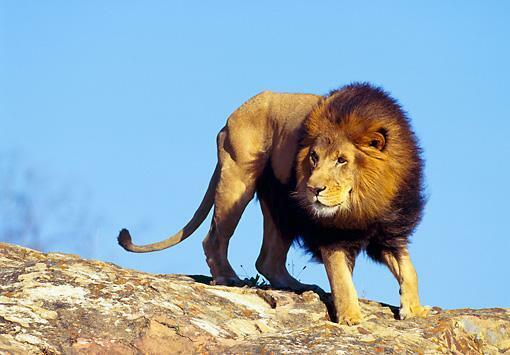 One long, hairy mane, two large,fluffy ears, four paws with sharp claws.......IT'S A LION!!!!!!!!!! Week commencing 20th April: We are working very hard in maths to decide what a problem is asking, what function is required and how to show it in a mathematical sentence. Read Write Inc continues each week and the Big Writes this week showed a great improvement in remembering to use punctuation - Well Done Emerald class Mr Cornell came in for the week to do some 'Art' with us, and oh what fun we had producing African animations - will be on the Website and entered into the; Cambridgeshire Young People's Film Festival. 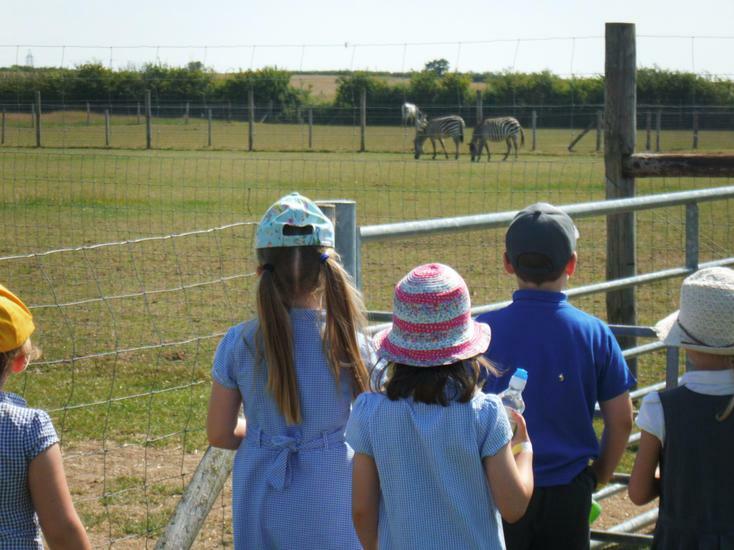 Week commencing 13th April: Back to Africa....Sorry, school !! The ICE zone has been transformed from a castle to Africa. We have a hot air balloon where the children can join the ride and do some 'Artistic Observational Drawings', there is a 'Reading Mud Hut' and lots more. Emerald class have already got excited about all the new learning that they are going to be doing this term. Another busy week in Emerald class. The weather has been better enabling the children to get in to the outside ICE zone more. They have had a great time exploring the pond area - and look forward to the changes that they are going to be able to observe over the coming months. 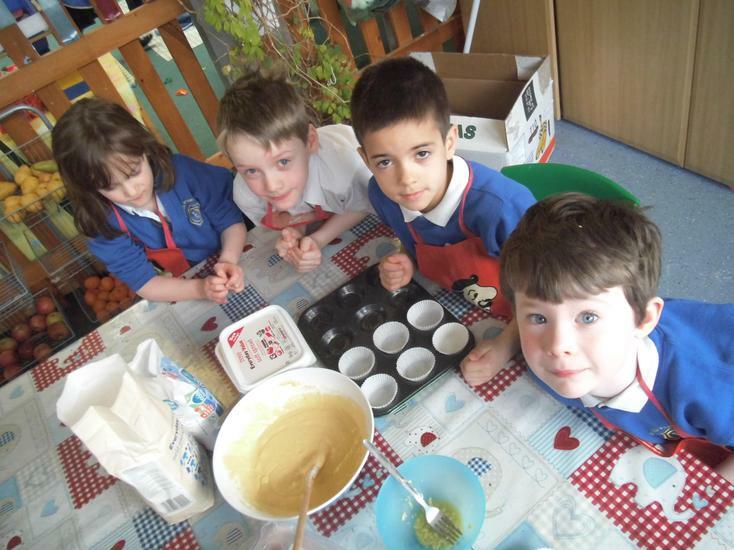 We have been using all our mathematical skills to make cakes - weighing, mixing and finding the capacity. 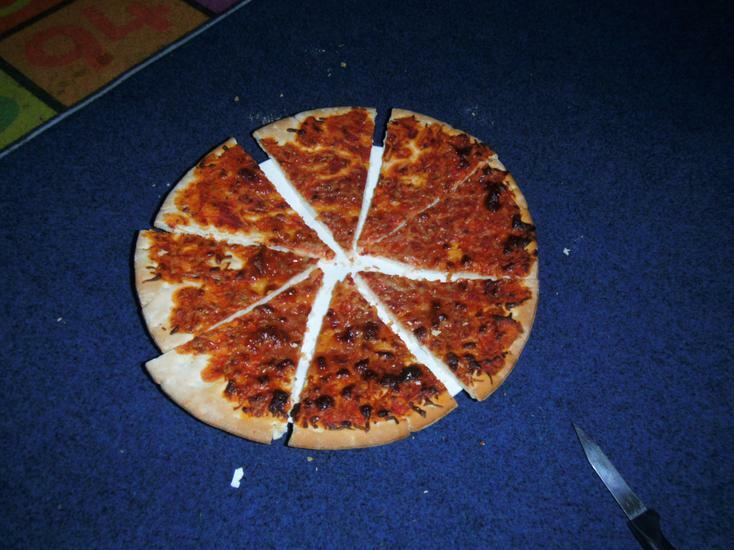 Food, food, food - Pizzas in to fractions!! Yet another busy week in Emerald class. We have been continuing looking at measure, using scales and standard units - gs and kgs. 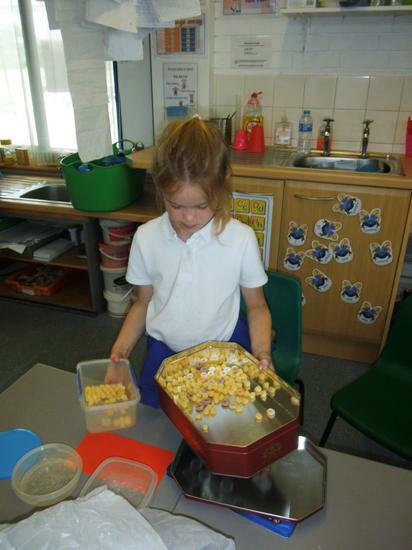 The children have had great fun weighing flour in preparation for making their own play dough. On Thursday we had 'World Book Week'. The children brought in puppets that they had made of a book character and shared who it was and which book it had come from. We also would hear the bells and have to " Drop everything and Read!" What a busy week! Emerald class have started their new Science topic: Pushes and Pulls. In Morning Maths they have been recapping Measurement. The children have used rulers and m sticks to measure the widths and lengths of objects and areas. They have used non standard units and scales to measure the weight of items. In Maths lessons they have been learning about Division / sharing - the children have found this very difficult, but continue to persevere ! Read, Write Inc continues to be great fun and with each new story the children focus on and learn; Green words - those that can be segmented and blended and Red words - those that just have to be learnt (Tricky words). Emerald class have been on an "Array Hunt! "......they went to find some rows......they went to find some columns...... Then they made some multiplication sentences. The children also looked at groups: 4 lots of 3 is? Lots of great sentences being made. We finished our Science topic on materials by investigating which materials would be best for the 3 Little Pigs to build their house out of ! After half term we will be learning about forces; pushes and pulls. The children continue to be busy with Read Write Inc and may be having a little fun with Fred Frog at the same time!!! In practical maths we have been looking at Money - We have a cafe set up in the classroom where the children have been purchasing or selling. They have been playing coin games and making lots of great money sentences. In number maths they have used their counting skills, learning to estimate and check using groups of 2's or 10's to count in. The Read Write Inc groups are working well with their blending and segmenting, producing some great comprehension and reading. 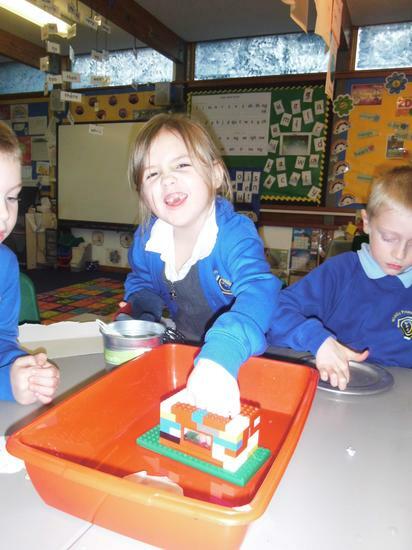 The children have been looking at and investigating 2D & 3D shapes. We have been on Shape Hunts, given each other instructions to draw shapes, felt in a feely bag and described the shape that we could feel. We have found shapes that roll and those that do not, shapes with straight edges and shapes with curved edges. Our residential artist; Mr Cornell has been in and we have been making Collages with buildings in, especially Castles! 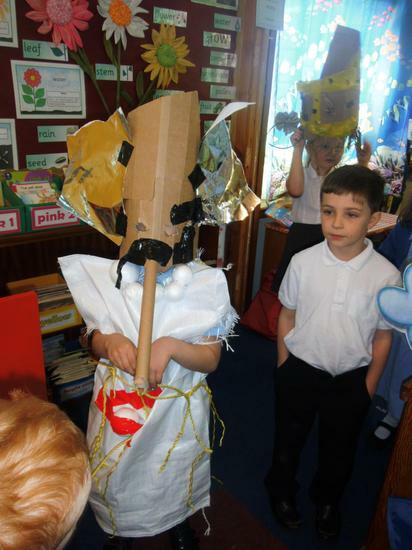 We had Castle Day on Wednesday and what a fantastic day it was! The children had a wonderful time; weaving, lamp making, gargoyle sculpturing, perfume bag making, engraving, visiting the Medicine Lady and so much more! The afternoon was a 'Banquet' where the children all had to entertain the high table and the day was completed with the children all having a go at jousting! Don't forget our Castle Day booked for the 14th January. I look forward to seeing you all back, healthy and raring to go! A busy last week of term. Lessons continued up until Thursday when we had our Reward day. The children had a fantastic morning with free play, 'Frozen' & popcorn, arts & crafts and a very funny magician show. The afternoon was spent having more fun with party games and food ! Our Christmas production took place twice this week for all the parents to come and see. Emerald class did a fantastic job; singing, moving around and speaking loud and clearly - I was a very proud teacher! and we continue with our genre on Poetry, looking at similes. Although we are counting down to Christmas, Emerald class remain very busy learning and working hard. Emerald class arrived in Monday morning to find that a Toy Shop had appeared in the classroom! We have been recognising coins and their values, learning to find the totals of items in the shop and moving on to find the change needed when the correct value of coins are not available. In our topic on Poetry, we are using all our senses to make some Great "Wow" words. In Science ,we are continuing our topic; Light and Dark and have been discussing which is earth's greatest light source and why we should not look directly at the sun. Year 1 were chosen to make a Christmas decoration by the Wildlife Trust at Paxton Pits. We were given the task to make the flower; Snake's Head Fritillary. These will be used as a decoration on a tree at the Christmas Tree competition at Paxton Pits this weekend. We have been finishing our unit on writing instructions this week. The children were able to give instructions on feeding the chickens. 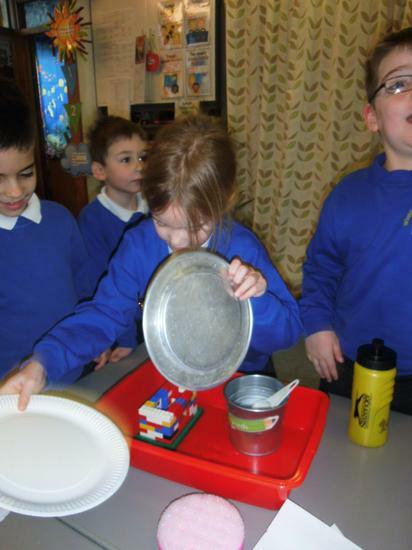 In maths we have been measuring ; mass, capacity and volume.. ..having lots of great conversations going on while using the scales, water table and lots of containers + cubes. Be prepared for your child saying "Prove it!" They have been proving lots of answers for me and each other. Along side our normal work we have had our 'Residential Artist', Mr Cornell in , doing some fantastic art work with the children in Year 1, using a variety of medium while experimenting with colour and tone. So much work has been going on in Emerald class this week. In Literacy we have been following, telling and making our own instructions. We have made instructions to wash the baby's hands, make a sandwich and get dressed to go outside. In maths we have been looking at halves. Finding half of a shape or object and then finding half of a number - sharing between two. In Science we went on 'A Light Hunt' around school. We found lots of man made light and the natural light - the sun. Our new topic in Science is Light and Dark. This week we shared the story; 'The Owl who was afraid of the dark' and then we shared how the dark makes us feel. We found lots of light sources in and around the ICE zone. In maths we had great fun Ordering numbers and making number patterns. DON'T FORGET PE is still on a Wednesday and girls will find it easier to come to school without earrings in, on that day. This week we have been very busy writing our own version of Peace at Last, with Miss Knox trying to find Peace to work! She tried the office, her car, ICE zone inside and out, the dinner hall and finally she found some peace.... The children came up with GREAT ideas for the sounds that might have disturbed her in each area. We have finished our Science topic; Ourselves by looking at the similarities and differences between people. The children did their own experiment to answer the question: Is it true that older people are taller people? The children have been listening to mathematical problems on the talking tins in class and then using the counters, leaping frogs, ducks in the pond, animals on the bus in order to work them out. They have found this quite difficult so they have taken home other words for add and subtract to help them in this area in maths. There are 20 animals on the bus. The bus stops and 9 get off. How many are left on the bus? There are 22 children in Emerald class, 6 are girls. How many are boys? I have 10 red counters and 12 blue counters. How many do I have altogether? Archie has 4 cars, Elliott has 6 and Joshua has 5. What is the total number of cars? 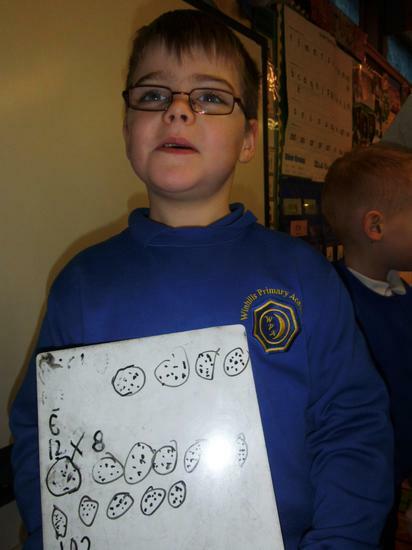 In Emerald class we have been having a great time in maths - Mrs Barnes brought in biscuits one day and there where 20 on the plate, 2 were eaten that made the sum 20 - 2 = 18 .....we kept going until all the biscuits had gone! We have been writing the story 'Peace at last' and looking at the structure of a story : Beginning, middle and end. Our Science topic: Ourselves has been continuing and the children have been talking about and sequencing the different stages of growth: Baby, Toddler, Child, Teenager, Adult and Elderly. We have started our new literacy unit: Stories with a familiar setting. The story we are focusing on is Peace at last and the children are loving it. We have retold the story using repeated actions and have learnt about language patterns......... "Oh, No! I can't stand this," Said Mr Bear. The children continued learning about how their senses teach us all about the world - they smelt pots: A, B, C. Tasted crisps: A, B, C, Felt in boxes; A, B, C. Listened to containers;A, B, C and looked using different magnifying glasses; A, B and C. Well done Alfie Shaw and Sam - the only people to recognise the smell in pot c - Ginger! In Literacy we have been learning about and using; Lists, Labels and Captions. 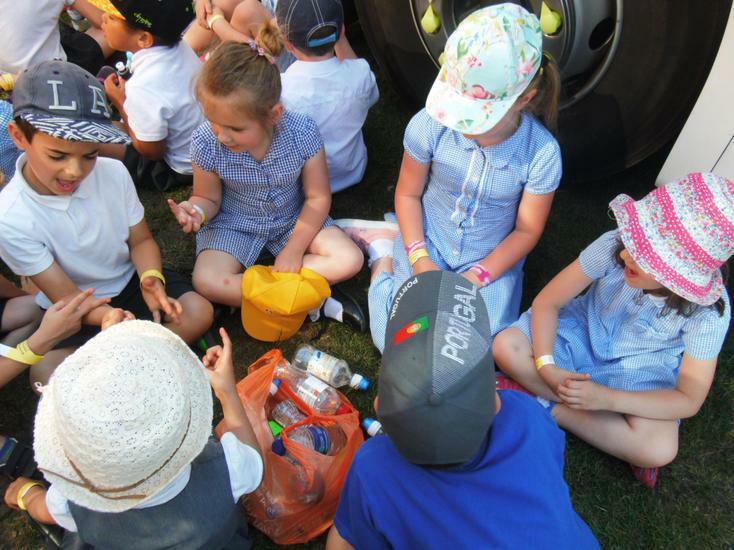 The children all had great fun writing a caption to go with a photo of themselves in a form of transport - Tractor, Spaceship, Racing car, Motorbike or Bus! In Science, we have been on a 'Our Senses' hunt around school and found lots to hear, smell, see, taste and feel. In Maths we have been counting and ordering numbers to 100.. Using Yummy Smarties we have been learning about and using the terms more than and less than. We have been busy using the outside areas to do some of our maths each day - lovely while the sun still shines . What a lot of wonderful work has been going on in Emerald class. We have been playing maths games, making our own sandwiches based on the story; 'The Sandwich That Max Made', re enacting The Gingerbread man, writing character descriptions, Learning positional prepositions while reading Rosie's Walk and so much more!! Welcome to your new class. You now have an ICE zone where there will be lots of busy learning. The Science topic is "Ourselves" and the Geography topic is " Our environment", there will be lots of great things to do and learn. I am sure that we are going to have a busy and exciting year with plenty of wonderful learning. Lots of shape sorting and making patterns with shapes/numbers, taking place in maths this week. Back on the Wednesday and straight in...... We spent this week revisiting our phonic sounds from last term. The children used all the phonic knowledge to write about their favourite egg! Some of the children used lots of wonderful adjectives (wow words) to describe the yummy eggs that they had for Easter. In maths, the children tested their addition and subtraction skills while playing dice games and even discussed and found many patterns hidden away in the 100 square! We had PE Wednesday afternoon and even Mrs Barnes learnt how to have the correct posture to run and to use her arms!! Don't forget to go on Starz to play games, watch videos and many more activities to do with what we are working on in class as well as in the ICE zone. We are going to be carrying on with problems in maths but starting to use sharing and multiplying, as well as addition and subtraction. In Science, our topic will be Growing Plants, so be prepared to get your hands dirty! We are going to have great fun in Art, printing using items from the seashore and learning about artists such as Andy Warhole. In Literacy, be prepared for some fun on the sea - joining or escaping those "nasty" pirates!! Firstly well done to all of Year 1 who showed wonderful, sensible behaviour during our class visit to the St Neots Library. Many thanks to the many mums who walked with us. Congratulations to all the children for completing their Sport Relief Mile by walking/ running/ skipping and dancing their way round the field on Friday. In Science Year 1 are busy studying what materials objects are made of - is it metal / wood/ textile/ paper / glass or plastic ? They have been sorting and describing the materials found. A reminder that Homework books need to be in next week with the term's homework completed, in order for the children to enjoy Reward day... please come and see us if there are any concerns. The children have had fun dressing up as the characters in Little Red Riding Hood, acting out the story beginning and writing this part of the Fairy Tale. Well done to so many children who are completing their 5Reads and a Book Talk every week - it is making a real difference to the reading in class. Some reminders for next week - please bring your library card on Wednesday as we are visiting St Neots Library. On Friday bring your bike and helmet to school for our re-scheduled Bike session - learning riding skills on the playground. 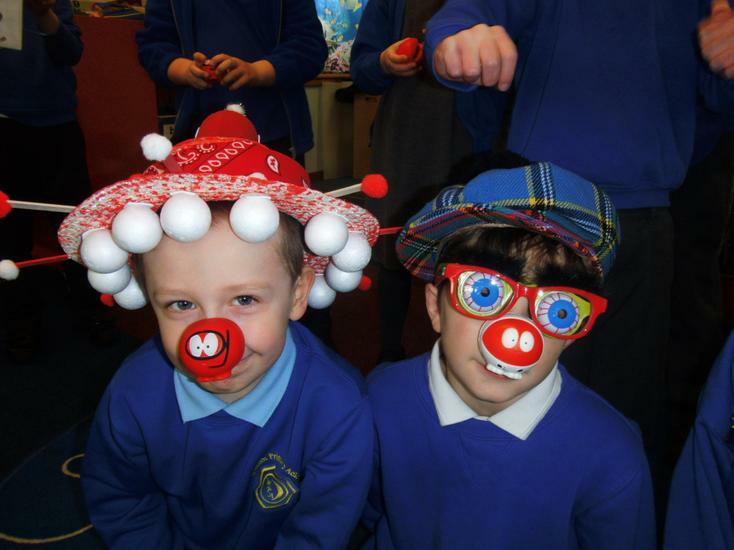 Its also Sports Relief day, and we will be walking our mile round the grounds, too. Now we know the story of Little Red Riding Hood, we have been looking closely at character descriptions. We have thought of fantastic "WOW" words to make the characters sound interesting..
eg "I have sharp, grubby teeth"
The children have been looking at floating and sinking, and what happens when something absorbs water. We are continuing problem solving in maths. Thank you for the amazing potato book characters sent to school for World Book Day - absolutely fantastic ! Please could everyone check they have a water bottle every day in school. Thank you. Welcome back after Half Term Year 1 ...We have started some exciting new topics in our class. In Literacy we are exploring the story of Little Red Riding Hood. Can you tell who is behind the masks ? In Science we have started looking at Forces. There are some photos in the Gallery below. We are problem solving in Maths and learning lots of number knowledge too. Well done to all the children bringing in their homework every Monday - I spotted some super work in the Homework books - here is one above, but there are more in the Gallery below. Keep up the great work Year 1. In maths we continue with problem solving and have moved on to using multiplying and division. Half Term....... Don't forget to have a play on Starz! We have started Problem Solving in Maths. The children are having to think about whether the problem requires an addition or subtraction sum and then write a number sentence to show the problem. Our work on data handling continues as we start to make our own charts and graphs to show information. After writing lots of fabulous sentences about The Fire, we are learning how to add a time connective, to explain when events happened.....words like first, next, after that, suddenly, in the end , finally and while. Thank you for the fabulous amount of reading Year 1 is doing at home every day .... It is great to see the children moving on to a new colour level, and getting excited about their reading skills. This week we have been finding the answers to our questions about The Great Fire of London, and acting out the ways people tried to put the fire out. We tried a water bucket relay and squirters, pulling down our buildings ... and using dynamite (some balloons!) to blow up a large space in the row of buildings. In numeracy we have started learning about data, and different ways information can be shown. We have explored bar charts, tally charts and diagrams. In the back of your child's reading record is a new list of targets - please use the left hand column to draw a smiley face if you notice your child can do one of the target skills - Many thanks. We have been busy tasting foods for our poems to write next week - a couple of great videos inthe gallery at the bottom of this page - enjoy ! During measuring this week Perry Parrot flew in....... He was off to a theme park the next day and needed help to know how tall/long he was, so that he knew which rides he could go on. However, our rulers had gone missing so we had to think of other items that were identical that we could use. Scissors, felt pens, oranges where just a few of the things that where used! What a busy half term we have ahead of us......Lots of exciting and wonderful things to do! In maths we are going to be measuring using lots of different equipment. In Science we are going to be carrying on from the topic Ourselves to looking at how we and animals are the same and different. Along with all our wonderful work in class the shared area will be doing lots of arts and crafts as well as getting the children to design and make a chair that a teddy can sit on! Year one went to St Neots Sport Center for a "Multi-skills" afternoon with students from Ernulf. In Science we have started learning about 'Ourselves'. Last week we looked at labelling the different parts of our body; Head, shoulders, knees and toes! This week we had great fun learning which senses go with which sense organ...... we had a touch n' feely box, listened to different, interesting sounds, smelt some very nice and not so nice smells and tasted some different flavoured crisps....em, yum! Year 1 have their new Homework Books !! Please come and ask if there is anything you are unsure of with the new homework books. Please only use pencil to write in them. Feel free to rule lines for your children's writing. 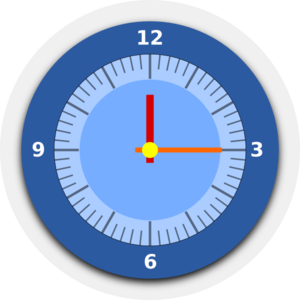 It is a real help if you use one page for each activity, and write the date and the name of the activitiy at the top of the page. 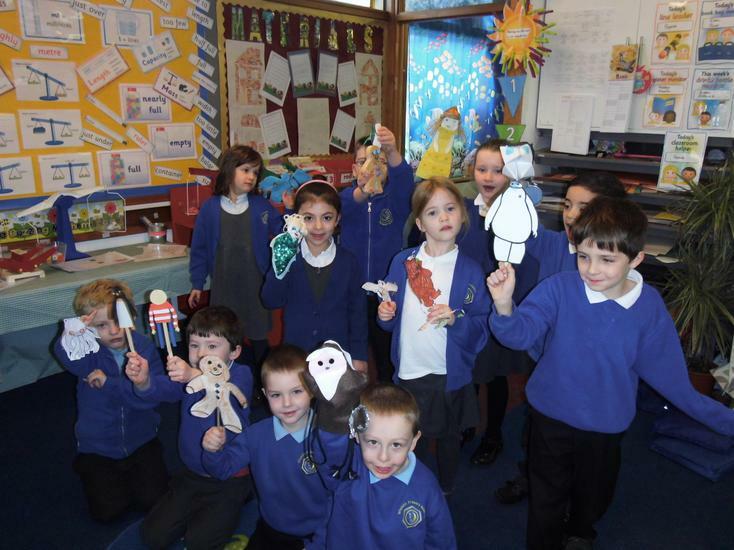 Wow Year 1 have had a fantastic Creative fortnight. Music day - we sang, made music with our bodies, listened to instruments, played instruments and then made and played our own instruments. To end the day we performed in groups to the rest of the class. We shared the story Rosie's Walk and talked about positional words e.g. on, above, beside, under.. etc The children all did some fantastic writing which went up on the wall. Keeping to the theme of a red hen, we read the story "Little Red Hen"..... the children wrote letters to the Red Hen, as if they were the dog, cat or duck. We made play dough, then coloured it and used it for modelling. Kina was dressed up as Incy Wincy Spider and we counted how many legs she had. Then we decorated biscuits like spiders. Can you remember how many legs we put on ? We placed 2 big eyes on our biscuit as well as the wiggly legs and then we just wanted to eat them!!!! Some children used junk material to make drain pipes that their spiders could be pulled up and let down. As if all of the above was not enough, we had colouring activities, writing sheets and modelling connected to each days topic. Hi Year 1 - Mrs Barnes and Miss Knox have been busy thinking about a load of creative activities for you to enjoy in our first weeks back at school. Have a look at the gallery below and see the Butter Making, 5 Little Monkeys day, Music Day and The Victorian House Day. Thanks for bringing in your PE kits and welly boots. Remember each day to check you have your book bag, water bottle and the right clothes... like sunhats or coats !